Korea is a sports powerhouse. It hosted 1988 Olympics and 2002 World Cup. Its highest record in both the Olympics and World Cup was 4th place. boasts remarkable performance results in sports indeed. One of them is professional baseball. Korea is one of the few countries that have professional baseball. There are 10 professional clubs. In 2008 Beijing Olympics, Korea won the gold medal in baseball. along with the U.S., Japan, and Cuba. As a result, many Korean baseball players join U.S. or Japan’s baseball teams. Recently, Jeongho Kang became the 4th hitter of Pittsburgh Pirate. Yesterday, he hit a home run and crowded the homepage main of Pittsburgh Pirate. 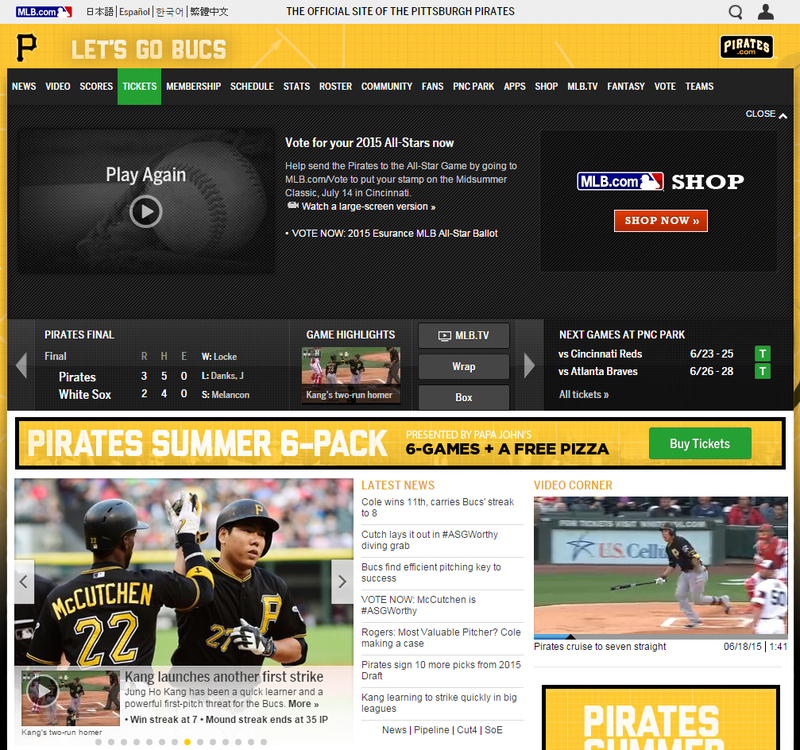 Pittsburgh Pirates is a professional baseball team based in Pittsburg, Pennsylvania. Byunghyeon Kim in 2008 and Chanho Park in 2010.